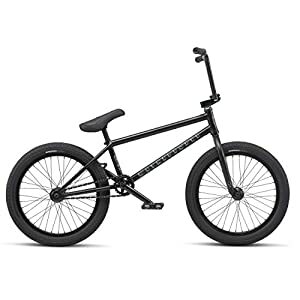 The Trust FC freecoaster complete Freestyle BMX bike from WeThePeople is detail oriented piece of hardware that has been optimized throughout to provide a beast that can ride on any surface and in any environment. Dripping with details and a top selection of original WeThePeople parts combined with Salt Plus hardware. The frame has been updated with invest cast dropouts with integrated chain tensioners. This is the freecoaster edition which will allow you to roll backwards when you land fakie tricks - Without the need to constantly operate the pedals. £ÍbXSôxT§9 Øi>Õì©C~ØÐµ4 ´­C J%_®¥év",ÕîÕåkÖb[­H÷2ÍYè_í«Ý~5ëò,zçÄ¥^î>ufºfSä1éZ\Kë¨åã' vëü²}Új:qÿXLa5dt ©3È#æéëÑ!#Ô?